I visited Kastro hotel with my husband, 18-month-old, parents and in-laws on a big family trip. We loved the covered varanda by the pool where we ate breakfast and lunch each day and sipped cocktails in the evenings. The staff was friendly, helpful and very accommodating towards our child. We found the large, 2-room suite perfect our needs. The property is well-maintained and quiet; perfect for families who like their privacy. It was an excellent stay and we will be back soon. Great place..very helpful team, comfy accommodation, lovely breakfast and overall a really good stay!! We really loved our stay at Kastro. The stuff is very kind and always ready to help and solve any problem. Breakfast was just delicious: homemade jam, white cheese-yogurt, fresh juices, cakes, figs... The room was very cozy, very clean with nice smell of cypress when the windows are open. They also provide towels even for the beach, which is great for those traveling with cabin luggage. Very clean, excellent attentive staff, loved the pool and shared area with tables. Great breakfast. Loved the location a few 100 meters from the centre of town but right near a little beach. Owners take excellent care of the property and I'd recommend it for anyone. Lovely buffet breakfast. Host was very accommodating and super to deal with. Location is very close to the water and does not involve a climb. Units are spacious and bed was great. Kind staff, great room, delicious cocktails. Highly recommend. Thank You Christiania &family and staff for making our stay sooo enjoyable! We hope to be back one day !,, ABig Thank You to all at Kastro ! Staff were so helpful and friendly. Breakfasts were amazing - great choice of healthy alternatives. The Hotel is very well looked after. A wonderful hotel in a beautiful town. The Staff is simply the best people in the area. Super friendly and helpful. The hotel provides you with everything you need and the breakfast is really cool! 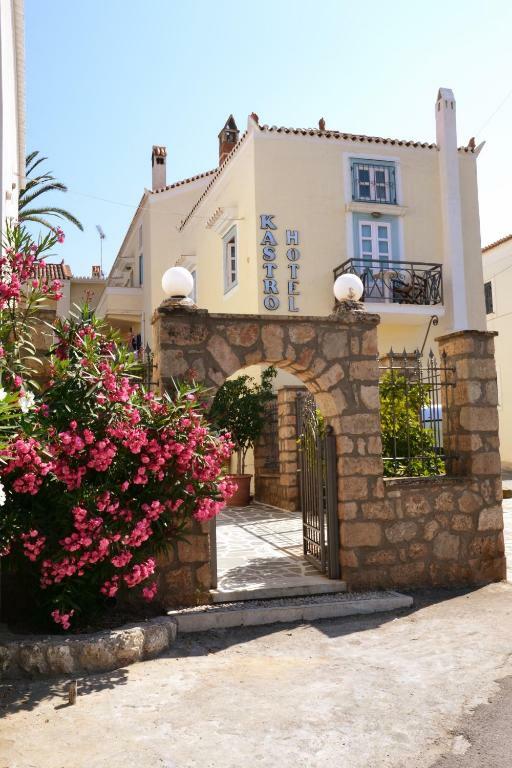 Lock in a great price for Kastro Hotel – rated 9 by recent guests! One of our best sellers in Spetses! Kastro Studios & Apartments offer a freshwater swimming pool with bar, and direct access to the beach. The complex is ideally located in Spetses’ center, 350 feet from Dapia Port and close to Bouboulina square. 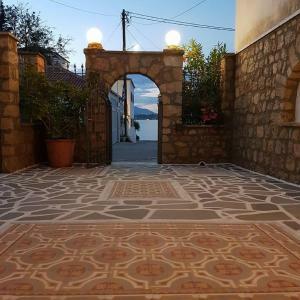 The beautifully renovated old mansion offers studios and apartments decorated in traditional style. They are all equipped with TV, cooking corner, refrigerator, private bathroom with hairdryer. Restaurants and traditional taverns, mini markets and cafeterias are to be found within a distance of 350 feet. Within 15 minutes' walking distance you will find the organized beautiful Caique Beach or Anargyreos Scole. A bus station is at 350 feet from Kastro Studios and Apartments. The bus takes you to every beach of the island. Free transfer is offered upon arrival. This open-plan studio features a kitchenette, air conditioning and TV. This apartment has a bedroom and a living room. This air-conditioned apartment is fitted with beamed ceiling and tiled flooring. It includes a living room with TV and a kitchenette with dining table. The private bathroom comes with free toiletries, slippers and a hairdryer. This split-level, air-conditioned apartment opens to a terrace. It offers a seating area with flat-screen TV and a kitchenette with dining area. Free WiFi is provided. Offering 2 separate bedrooms, this deluxe, air-conditioned apartment has a seating area. It offers a flat-screen TV and a kitchenette with dining area. An additional toilet is included and free WiFi is provided. Kastro is an old mansion that was renewed into 17 rooms and apartments. Just a 5 min walk from the port of Ntapia. Run by the owners that always try to make it feel like home for there guests! Please note that guests can enjoy full English breakfast. Please note that the property reserves the right to preauthorize the credit card. Guests who wish to be transferred from the port are kindly requested to inform the hotel in advance of their estimated arrival time. This can be noted in the Special Request box during booking, or by contacting the hotel using the contact details found on the booking confirmation. Please inform Kastro Hotel of your expected arrival time in advance. You can use the Special Requests box when booking, or contact the property directly using the contact details in your confirmation. Not sure if the a/c could deal with a very hot day. Mosquito netting was on the bathroom window but perhaps on one other window would have made leaving them open for a breeze much easier. My only complaint is that the air conditioner filter really needed to be changed. It was visibly clogged. Family owned property, with very friendly staff. Great location, close to the new port. Father and daughter were super friendly, we felt like we were their friends. Very hospitable, with them discussing breakfast and what we should try from the greek cuisine. They gave us a good advise on the beaches there and which restaurants to go to. Breakfast was included in the price. They also picked us up and dropped us off at the ferry port. The pool was spacious with lots of common areas where guests could interact in the evening at the small beach bar. I will definitely return there. Christiana was a fab hostess, very friendly and helpful. She gave us great info on which beaches to visit. Thanks so much! There was no WiFi connectivity in the room. You had to go into the courtyard. Also the beds were a bit uncomfortable. I think they just need an extra layer of protection on the matress. Christiana, our main host, was fantastic. Super efficient, friendly and very helpful. All the staff were very friendly and made us feel at home. The place is perfectly located for all the main restaurants, coffee shops and bars and very close to the local beaches. Great place for families. they turned on a/c prior our arrival, so it was very nice and chilly inside the room. Highly recommended- 5 star+ service. Amazing breakfasts with home made jam! 3 minute stroll to restaurants and bars. Bathrooms are a bit cramped and dated. Very welcoming staff, great location and clean. The interior is a bit dated but comfortable. The staff was extremely nice and helpful. The pool was perfect for our kids, 8 and 13 years old. The outside restaurant area was very pleasant.